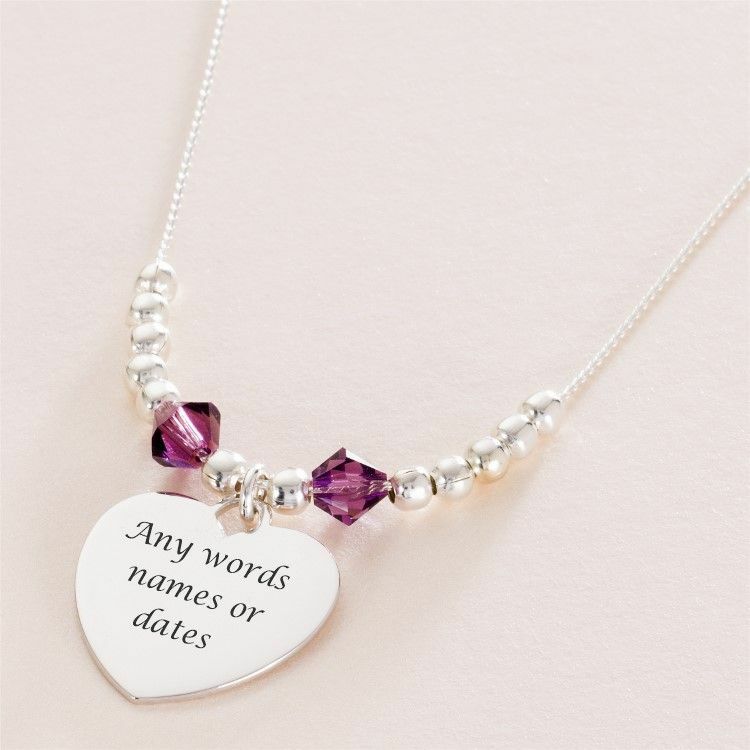 Sterling Silver Beads, Birthstone Necklace with Engraving. 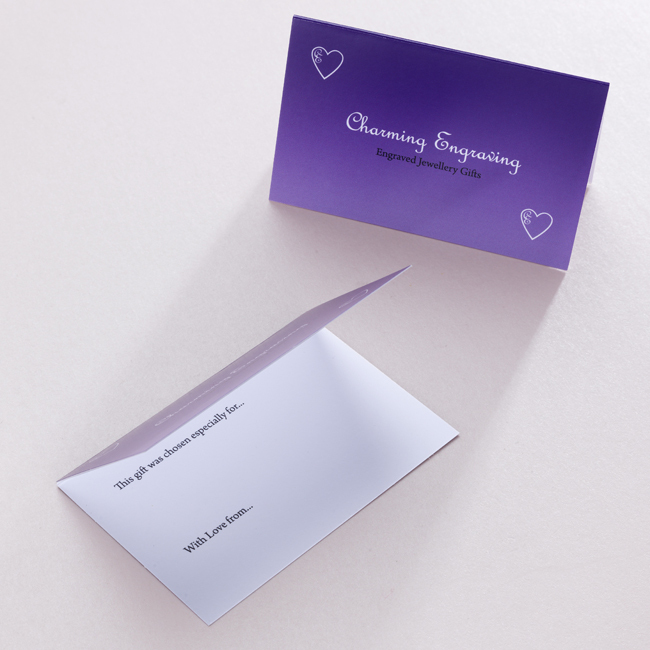 Personalise the heart with the engraving of any words, names, dates or symbols of your choice. 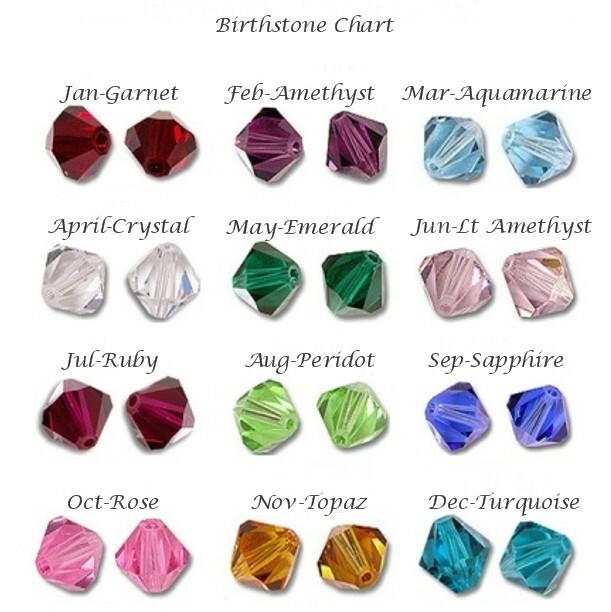 Genuine Swarovski Elements Crystal Birthstones either side of the heart. Part of our range of engraved jewellery for women and girls. 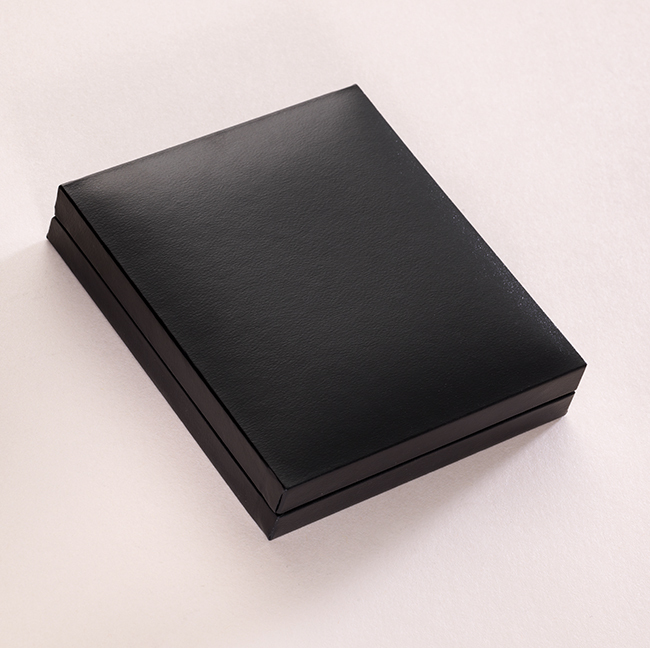 Delivery: We dispatch all engraved jewellery orders within 3 days following receipt of payment. Standard or Express Delivery is available.